The meeting is considered significant since the ‘Quad’ is seen as a grouping that is concerned over the growing influence of China, especially with its ambitious Belt and Road Initiative (BRI). 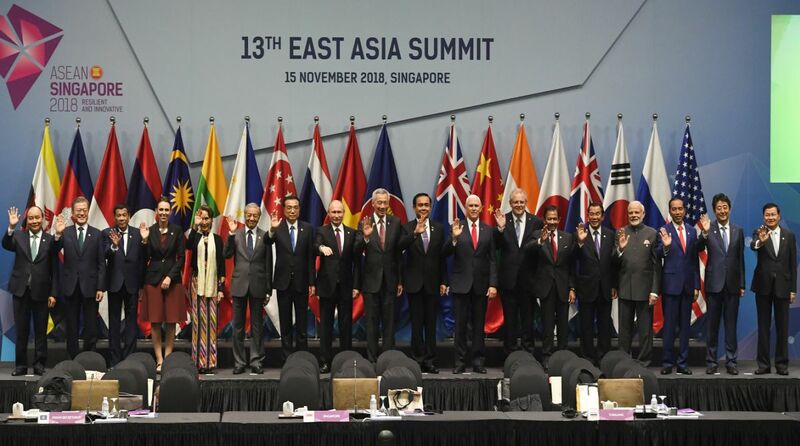 India, the United States, Japan and Australia on Thursday held the third round of their security dialogue in the ‘quadrilateral’ format in Singapore on the margins of the East Asia Summit and decided to promote a free, open, rules-based and inclusive order in the Indo-pacific region that fosters trust and confidence. The meeting, attended by senior officials from the Ministry of External Affairs of India, Department of Foreign Affairs and Trade of Australia, Ministry of Foreign Affairs of Japan and Department of State of the US, discussed regional and global issues of common interest. The meeting is considered significant since the ‘Quad’ is seen as a grouping that is concerned over the growing influence of China, especially with its ambitious Belt and Road Initiative (BRI). 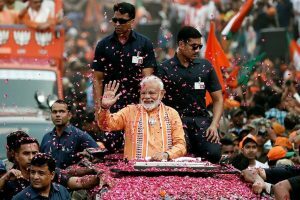 While the US, Japan and Australia have certain reservations over the BRI, India has vehemently opposed it on the ground that its flagship project, the China-Pakistan Economic Corridor (CPEC) runs through the Indian territory in Jammu and Kashmir illegally occupied by Pakistan. The External Affairs Ministry said the discussions at the meeting focused on cooperation in areas such as connectivity, sustainable development, counter-terrorism, non-proliferation and maritime and cybersecurity, with a view to promoting peace, stability and prosperity in an increasingly inter-connected Indo-Pacific region that the four countries share with each other and with other partners. The participants reaffirmed the ASEAN centrality as the corner-stone of a free, open and inclusive Indo-Pacific. They agreed to partner with other countries and forums in the region to promote a free, open, rules-based and inclusive order in the Indo-Pacific. The four countries committed themselves to strengthening connectivity and quality infrastructure based on sovereignty, equality and territorial integrity of all nations, as well as transparency, economic viability and financial responsibility. The officials also exchanged views on recent developments in the regional situation. This was the third meeting of the ‘Quad’ which had first met in the Philippines in November last year and again in June this year in Singapore on the margins of the ASEAN engagements.